February, 2011. 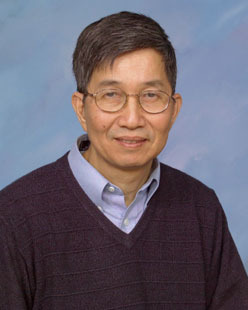 Ching Tang, the Doris Johns Cherry Professor of Chemical Engineering,has been awarded the 2011 Wolf Prize in Chemistry for "deep creative contributions to the chemical sciences in the field of synthesis,properties and an understanding of organic materials." Prof. Tang will share the $100,000 award with two eminent scientists, Prof. Stuart A.Rice, University of Chicago, and Prof. Krzysztof Matyjaszewski, Carnegie Mellon University. The award will be presented at a ceremony at the Israeli Knesset in Jerusalem on May 29, 2011 by the President of the state of Israel, and by the Minister of Education in Israel, who chairs the Wolf Foundation Council.